Chief Macha of the Tonga People in Southern Province says Zambia has adequate land, natural and qualified human resource to stimulate economic activities for job creation. And Southern Province Permanent Secretary Mwangala Liomba appealed to traditional leaders to avail land for investment. Chief Macha said overdependence on foreign investors was worrying his chiefdom as the trend was unsustainable for the country to realise long-term development goals. “The country had in the past, been exploited by investors whose intent was to acquire land and externalize profits at the expense of the local people who remained trapped in poverty,” he said. 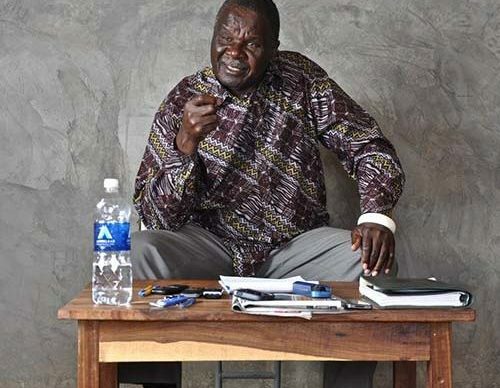 The traditional leader has urged government to be wary of investors whose motives were unclear ahead of the forthcoming Southern Province Investment Exposition set for September 2019 in Livingstone. “We are not against government’s request to avail land for investment purposes. However, government must be careful with some of these potential investors as they may just want to take away our land, resources and then leave the country,” he said. Chief Macha said this in Livingstone yesterday at the Traditional Leaders Orientation meeting on health and community engagement. He suggested that instead of always opting to bring foreigners on board, local people could be trained abroad so they could get the ‘know-how’ of running establishments like a cornflakes processing plant which government intends to setup in the province. “Cornflakes are made from maize, which we have as a country, so empower our people with the appropriate skills so they can run the processing plant instead of always looking for foreign investors,” he said. And Chief Chikanta of the Tonga people of Kalomo District wondered why government had not engaged traditional leaders in the preparations for the Southern Province Investment Exposition. Chief Chikanta said it was wrong for government to engage potential investors without the involvement of chiefs. Meanwhile, Chief Choma of the Tonga People of Choma said he was ready to avail 10,000 hectares of land in his Chiefdom, for the exposition to be held under the theme: Accelerating development through value addition and diversification. Chief Choma said the 10,000 hectares of land was not on title and he would readily avail it for the investment Expo and neighbouring chiefs short of land, on reciprocal terms. Earlier, Liomba said the Investment Exposition was an opportunity for chiefs to partner with foreign investors and escape the vicious cycle of poverty. “The partnership I am referring to is based on equity with no loser in the equation. The chief brings land and the investor puts up the capital, so it is an equal partnership,” he said. He pledged to always involve and seek the guidance and counsel of the chiefs on matters that affected them. “As government, we do not want a repeat of what transpired with the other investment expositions, which were held successfully but we could not give land to potential investors because Chiefs were not involved in the initial preparations,” he said. Thirty-three traditional leaders from 13 towns in Southern Province attended an orientation meeting.